Stay in one of 9 guestrooms featuring flat-screen televisions. Complimentary wireless Internet access is available to keep you connected. Private bathrooms with bathtubs or showers feature complimentary toiletries and hair dryers. Conveniences include desks and coffee/tea makers, and housekeeping is provided daily. Located in Grange-over-Sands, Uplands Inn Cartmel is in a rural location, within a 5-minute drive of Lake District and Cartmel Priory. This inn is 7.1 mi (11.4 km) from Lake Windermere and 1.1 mi (1.7 km) from Cartmel Racecourse. A train station pick-up service is provided at no charge. Located in Grange-over-Sands, Grange Hotel is a 1-minute drive from Lake District and 10 minutes from Cartmel Racecourse. 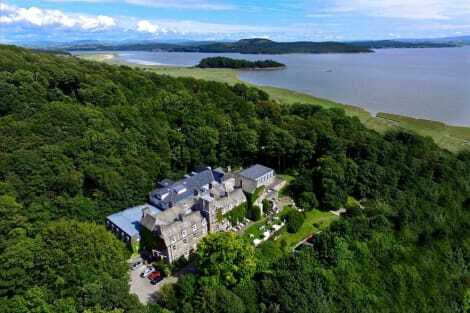 This 4-star hotel is 7.2 mi (11.5 km) from Lake Windermere and 9.6 mi (15.4 km) from Sizergh Castle. lastminute.com has a fantastic range of hotels in Grange Over Sands, with everything from cheap hotels to luxurious five star accommodation available. We like to live up to our last minute name so remember you can book any one of our excellent Grange Over Sands hotels up until midnight and stay the same night.